If Seefeld is the Austrian capital of hiking and mountaineering, St Anton is the equivalent for skiing. The Tyrolian town is not only the hub for a vibrant skiing culture that spreads deep into the surrounding mountains, it is also the birthplace of Austria′s "scholarly" skiing tradition. The slopes of St Anton offer a wide range of degrees in terms of difficulty, but they mostly attract more skillful skiers (rather than Kitzbühel). The hype around the town and skiing goes back to 1901, when the local skiing club was formed. A local hotel owner recognised the opportunity to stimulate tourism during the winter season and hired a native from St Anton to teach winter guests how to ski. This native was Hannes Schneider, who started a career as a ski instructor that he ended decades later as a legend with international fame. He developed many skiing techniques that became integral parts of an Austrian style of skiing, spread it to the United States and other countries, and co-founded one of the most famous downhill skiing races, the Kandahar Cup, in 1928. Over the course of the 1920ies, the reputation of St Anton and a trendy and fashionable destination for winter holidays built up. Urban aristocrats discovered the small Tyrolian town and made it the backbone of the province′s skiing industry. Even today, St Anton awfully expensive during the long skiing season from early December to April. The base for this was laid out at a time of recovering self-confidence in Austria, when the trauma of WWI was gradually fading in the people′s minds. 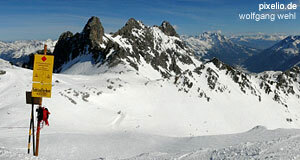 By 1931, St Anton was already a famous resort, widely considered to be the most exclusive skiing destination of Austria. Because of this reputation, the German director Arnold Franck decided to shoot a skiing movie here: "Der weiße Rausch" ("White Frenzy") featured the later Nazi-propaganda-machine Leni Riefenstahl and was an enormous success. The movie triggered an avalanche (please note the exquisite use of this word in this context, being a non-native-speaker, I am very proud) of follow-ups and spin-off productions. The entire genre, a mix of adventure movie, love story and moral tale, owes its existence to St Anton. To celebrate the town′s link with skiing movies, an annual film festival that features movies on alpine and ski-related matters. But now for something completely different: Since this is the sightseeing section of TourMyCountry.com, we ought to cover some of the sights of St Anton. Alas, there′s few of them: the mountains and scenic settings of the town make it without much doubt an attraction by its own. In terms of particular spots, however, you will be bound to the Heimatmuseum or town museum. It features bits and pieces of Tyrolian folk culture and art, but that′s it in terms of sightseeing. The rest of St Anton consists of expensive hotels, expensive boutiques, expensive nightclubs or expensive après-ski facilities. In short: Don′t bring your camera, bring money. And a pair of skis, of course. Attractions nearby include the other towns of the Arlberg region: Klösterle, Pettneu, St. Anton, Lech, Zürs and Stuben.